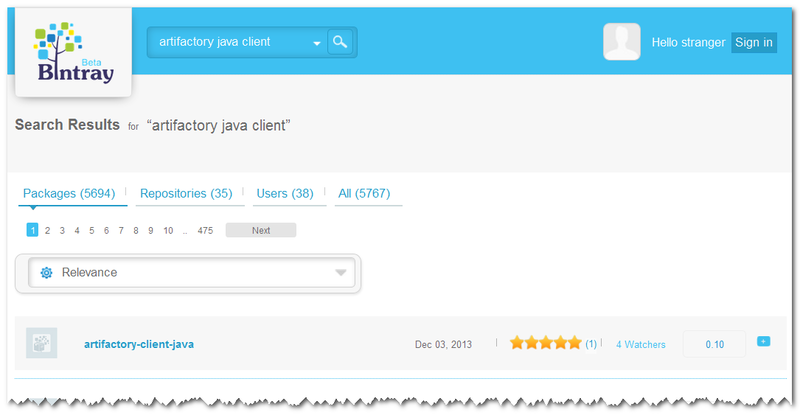 Want to know when a new version of $YourFavoriteJavaLibrary is released (and I mean – any Java library)? With Bintray, it’s one-two-three. 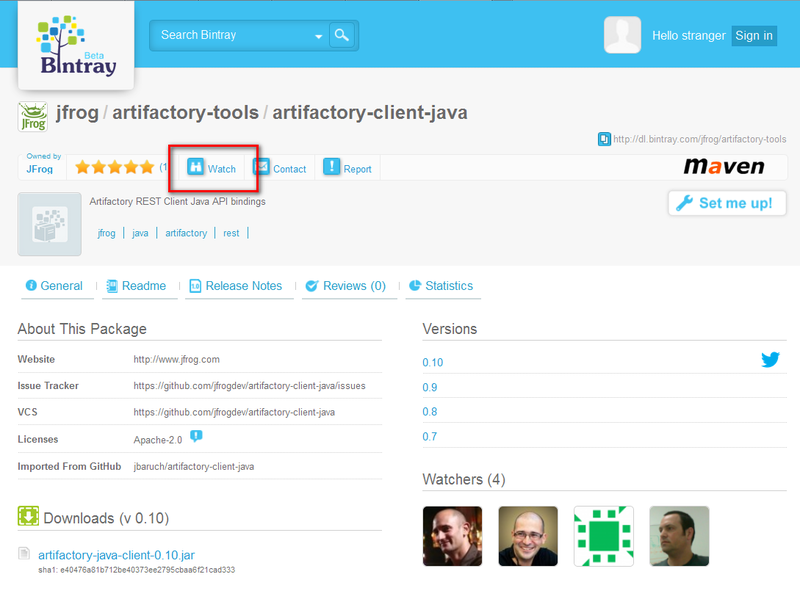 Go to bintray.com and search. Click on the package you’d like to watch. Click “watch”, (log in if needed). Watch your mailbox, you’ll get an email. P.S. Of course, this functionality is not limited to Java packages only. 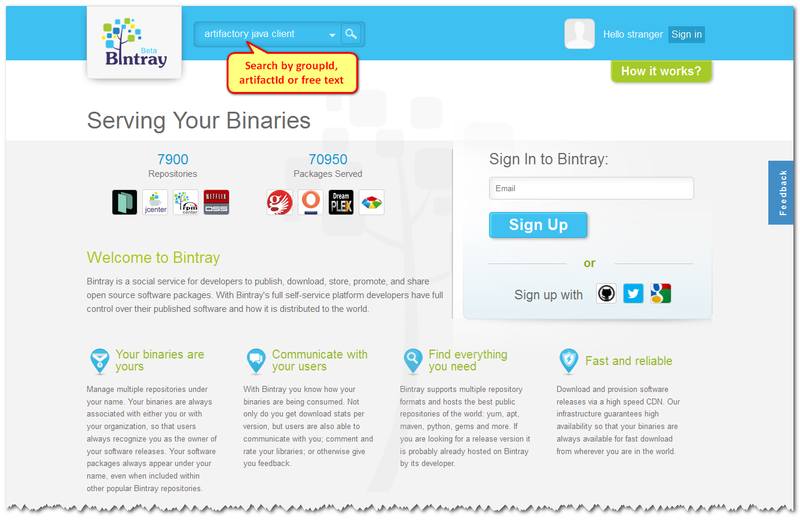 Any binary in Bintray can be watched for new versions.